What goes on "behind closed doors" in families is examined in this text. 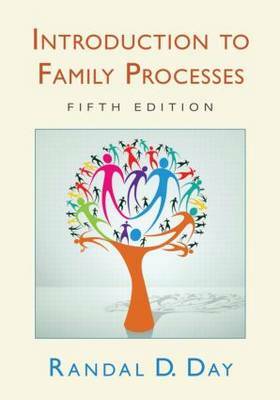 Through his storytelling style, Randy Day introduces readers to the family processes approach - the strategies and behaviors families use to achieve goals. The emphasis is on how families work and interact rather than on the psychological, sociological, or economic processes. It examines emotions in families, communication, relationship formation/dissolution, family rituals, and power and conflict. Chapters open with a Preview and conclude with a Summary, Study Questions, Key Terms, and Suggested Readings. Principle Boxes highlight key concepts and a Glossary defines the key terms listed at the ends of the chapters. More material on the role of gender, power, genetics, and personality in relationships; families from diverse cultural and ethnic backgrounds and the impact of work and technology on the family; the changing nature of family structures including single parenting and gay unions; and stresses in family life. Written for undergraduate courses on family processes, family dynamics, family life, the family, and/or marriage & family interaction taught in family studies, human development, psychology, sociology, social work, education, consumer sciences, home economics, health, and nursing departments, this book also appeals to those who want to maximize the positive parts of family life and manage the inevitable challenges.